Court fines former first lady, Patience Jonathan for withdrawing her suit against EFCC – Royal Times of Nigeria. 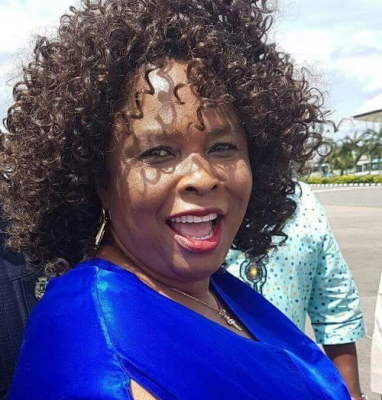 Justice S. Seidu of a Federal High Court sitting in Port Harcourt, Rivers State, has imposed a fine of N50,000 on former First Lady, Patience Jonathan, for withdrawing a suit instituted against the Economic and Financial Crimes Commission, EFCC. In the suit, Mrs Jonathan sought an order of the court for “the enforcement of her fundamental human rights to own property, fair hearing, human dignity, private and family life and freedom from discrimination”. In a defence led by I. A. Adedipe, SAN, she prayed the court to retrain the EFCC from encroaching on those “rights”. However, the Prosecution counsel, Kayode Oni, faulted Jonathan on her prayers before the court, arguing that her suit was an abuse of court processes. At the resumption of hearing on the matter on Monday July 3rd, one of the defense counsels, Sammie Somiari, addressed the court on a notice of discontinuance of the suit, saying that he had an instruction of his client to discontinue the matter. He said that an application had been filed before the court to that effect. Counsel to the EFCC submitted that Mrs. Jonathan has a right of discontinuance but pressed for a charge of N500,000 ( Five Hundred Thousand Naira only) as costs of filing processes in response to the suit. Justice Seidu struck out the suit and awarded a cost of N50,000 (Fifty Thousand Naira only) as a fine against Jonathan. Dame Patience Jonathan instituted the suit against the EFCC in February, 2017.